Guldgubber wer found all over Scandinavia. From Gudme up to Borg throughout Denmark, Sweden, and Norway. Lundeborg lies east of Gudme on Fünen and is quite similar to Gudme. A lot of statuettes of animals and humans were found, as well as masks in quantities no where else found. 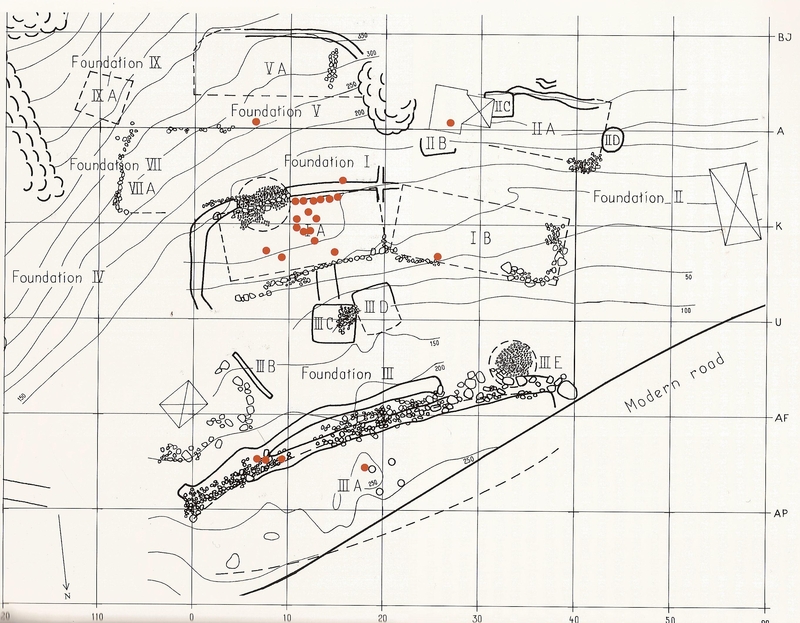 In Lundeborg itself there were a lot of nails for boats found and a scattered hoard find of guldgubber, consisting of around 102 guldgubber total, mainly of so-called doublegubber. Just two guldgubber were found in Gudme so far. 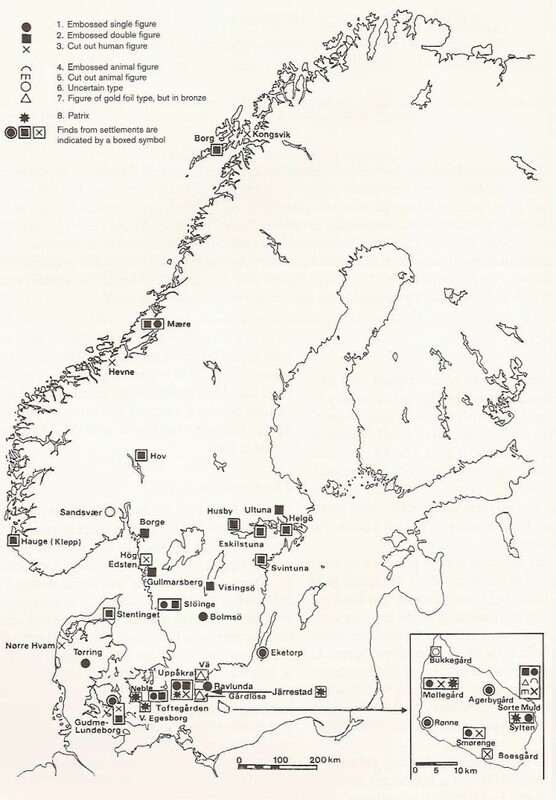 Here, I will present you some further details for the find places with more than three figures, which will be Eketorp, Helgö, Slöinge, and Uppåkra. Fifteen guldgubber were found in Eketorp in a stone chamber between a row of houses and a central block. 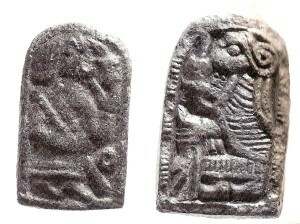 A bronze staff and pieces of goldrings were found with the guldgubber. 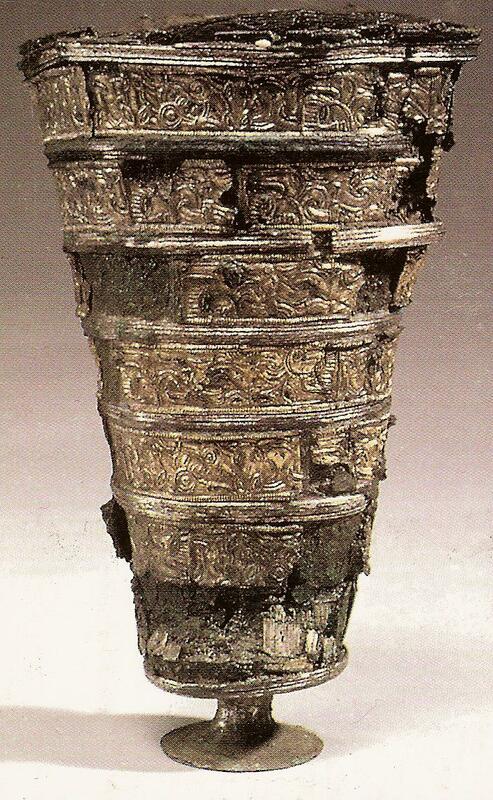 This find is dated in the transition of the early Iron Age to the Viking Age. There are just three different motives on these guldgubber: a standing man, a man on tip toe and a women en face. All three of them are depicted without arms. 26 guldgubber were found in the central house complex in Helgö. 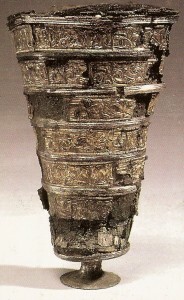 They were found in the eastern part of the foundation, twelve in an area of 3x4m. Six guldgubber were not found in the foundation I but in the outerside from there. All guldgubbers are doublegubber. 57 guldgubber and some fragments were excavated here. The guldgubber were found around some post holes and the remaining wood could be dated to 710-720 a. D. The find consists of 26 doublegubber and nine single gubber. One guldgubber shows two people standing behind each other. Either this is a new motive or the guldgubber was not seperated correctly. Uppåkra is the place in Sweden with the most guldgubber found so far. Until the autumn of 2003 113 guldgubber and 4 patrices were found there. Among the 113 guldgubber were only six doublegubber, the rest consists of single gubber. All of the guldgubber were found in a building near post holes. Guldgubber patrices of Uppåkra. By Margrethe Watt. Guldgubber og patricer. Other finds in the house were a big glas bowl and a silver chalice mit ornaments. Furthermore some spear and lance heads were found. The guldgubber finds in Norway are not as rich as they are in Sweden or Denmark and are not as well documented. 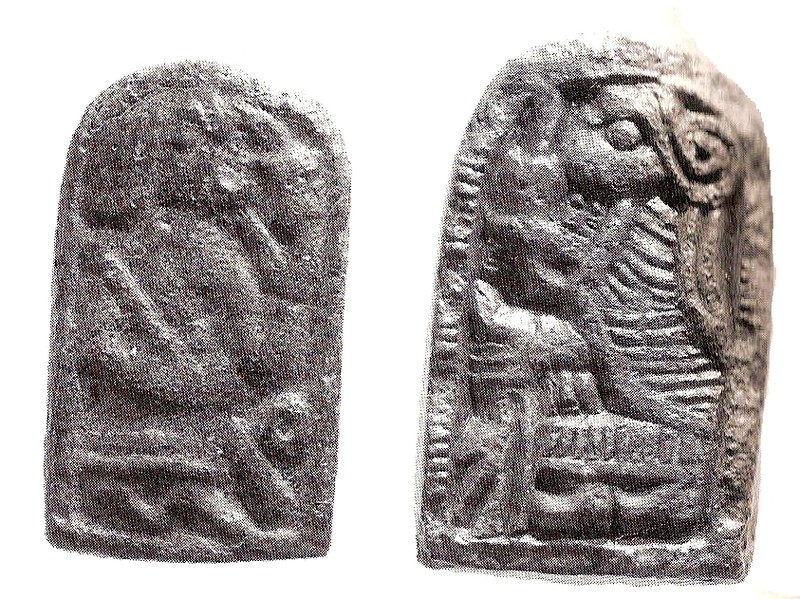 In Hauge (Klepp) some guldgubber were unearthed and suppoesedly all depict doublegubber. They were not found in any settlement or house context. 23 doublegubber were found in a building near post holes in Mære. The building can be dated into the Viking Age. During mediaeval times a church was built above that building. Mære is described in mediaeval sources as a centre for the heathen cult.